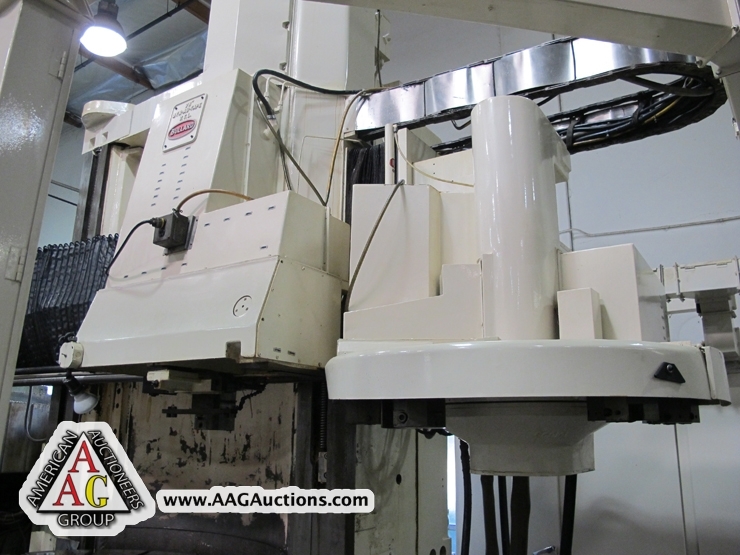 2) WHITE-SUNDSTRAND S-80 OMNIMILL 5 AXIS CNC HORIZONTAL MILLING MACHINE WITH MULTI PALLET CHANGER, ACRAMATIC 2100 CONTROL, CHIP CONVEYOR, KOLL MORGAN SERVO DRIVES, HANSEN SPINDLE COOLERS, S/N 193, AND 177. 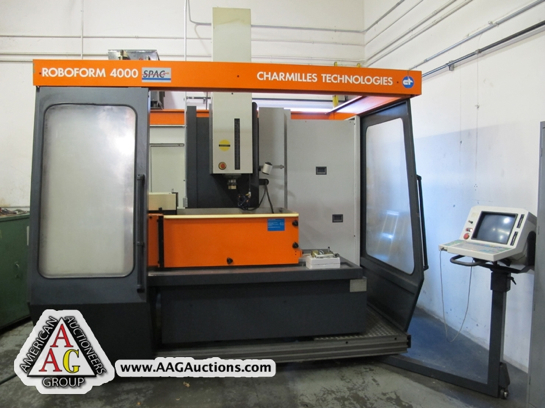 CINCINNATI T30-5 AXIS CNC HORIZONTAL MACHINING CENTER WITH ACRAMATIC 950 CONTROL, 2 PALLET CHANGER, CT-50 TAPER, S/N 3123B1187-0003. 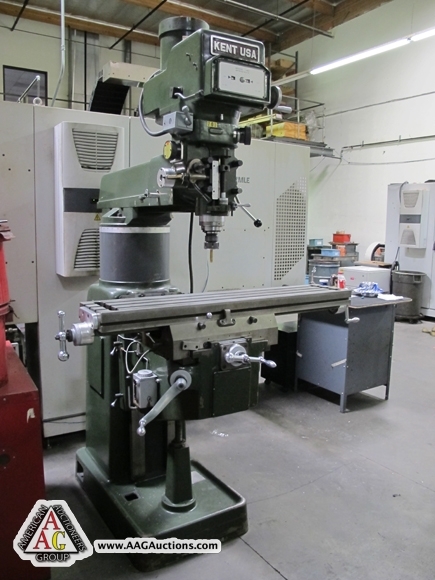 KENT KTM-5VK VERTICAL MILLING MACHINE, VAR SPEED, RISER BLOCK. 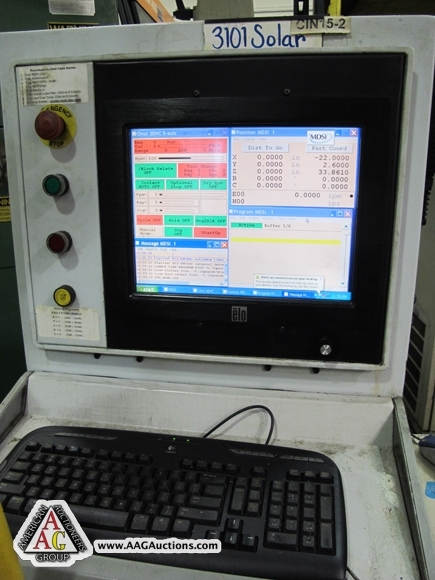 LARGE SELECTION OF CT-50 TOOL HOLDERS, INSPECTION TOOLS AND ETC. 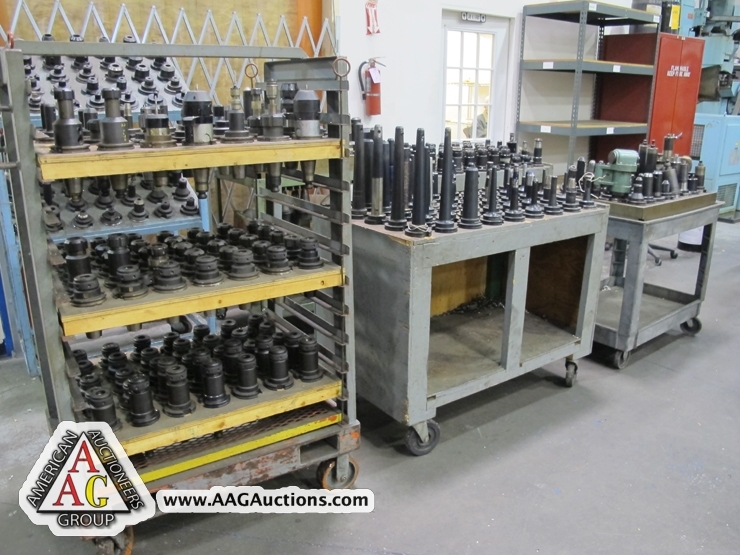 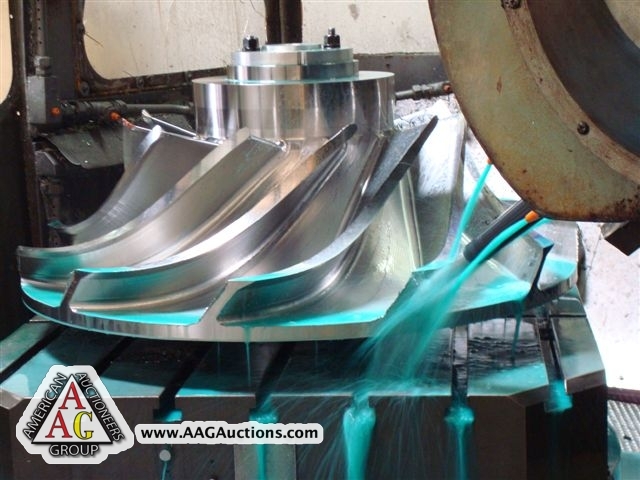 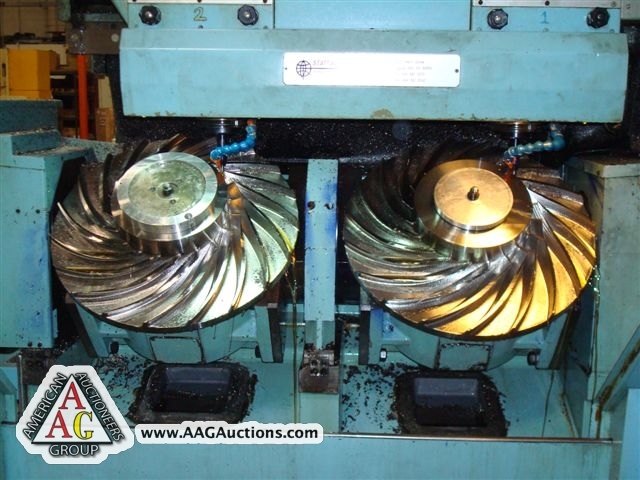 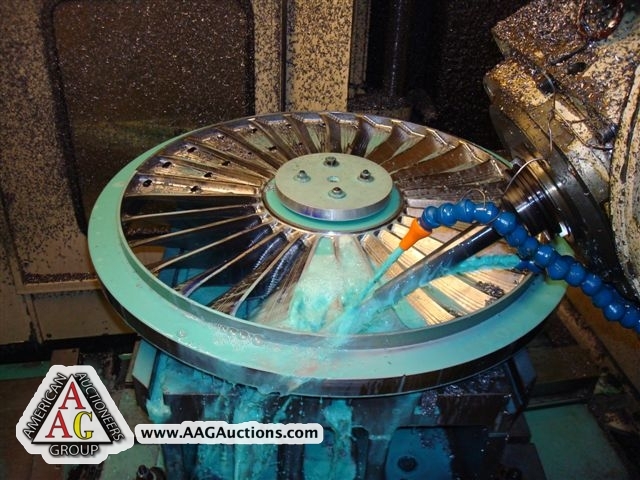 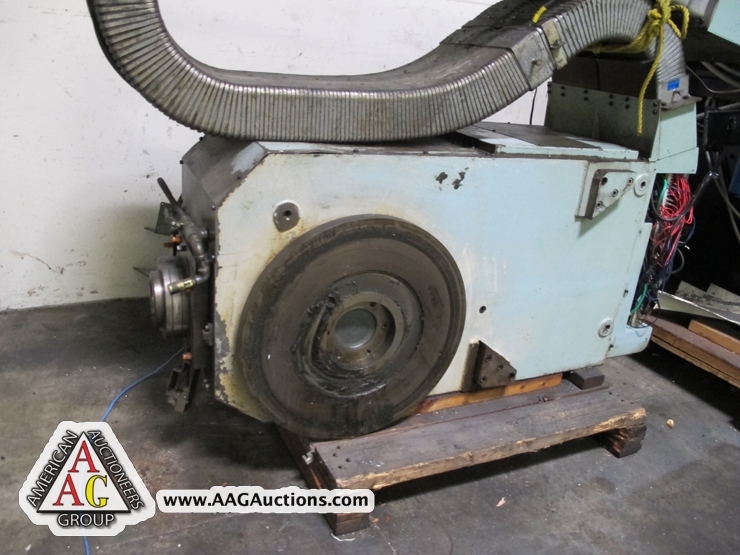 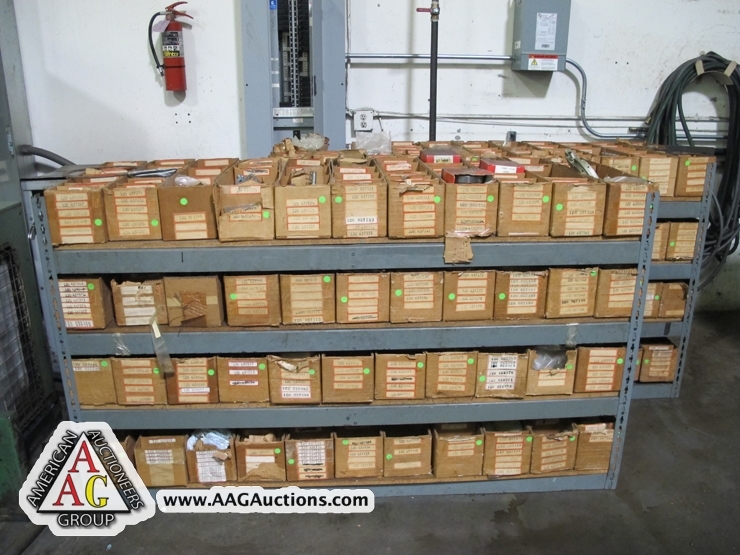 LARGE QUANTITY OF NEW AND USED PARTS FOR SNK AND SUNDSTRAND MACHINES. 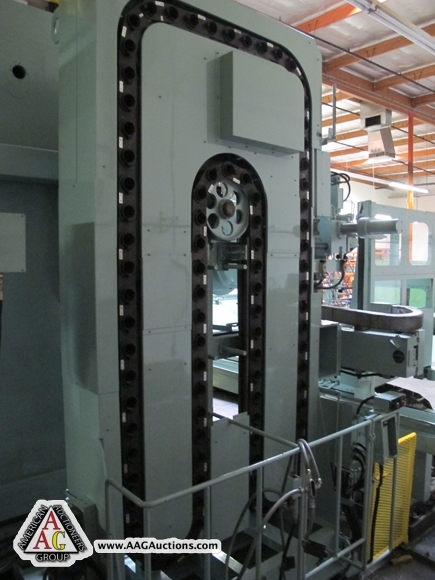 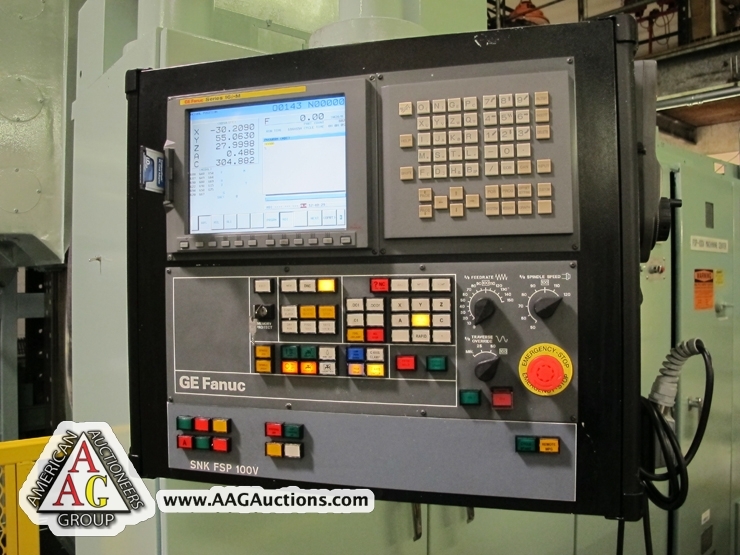 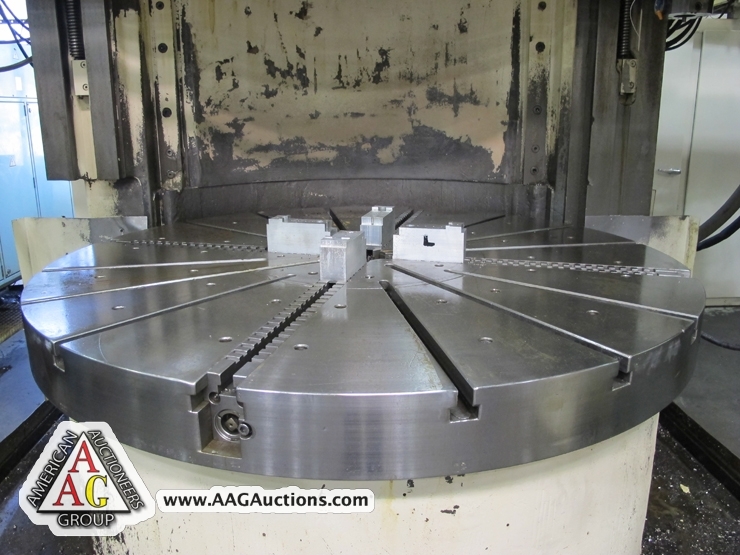 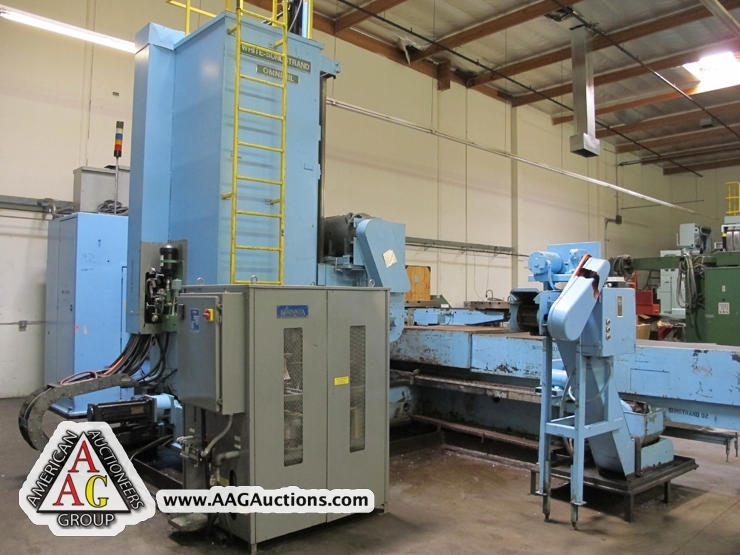 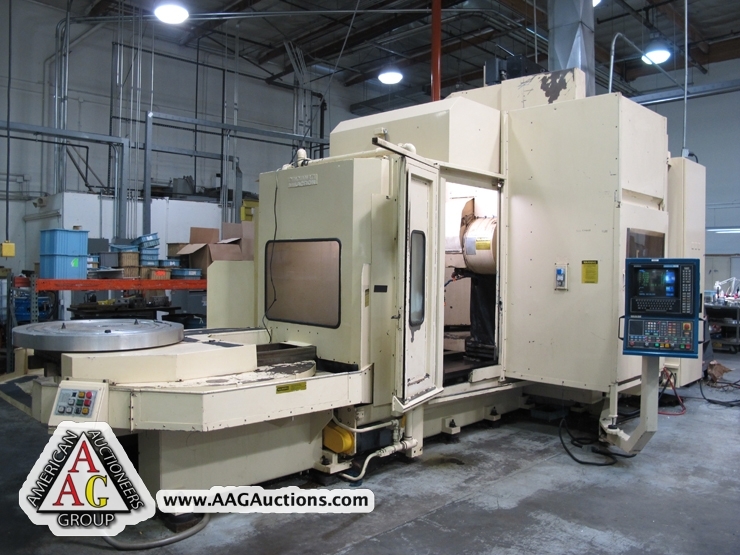 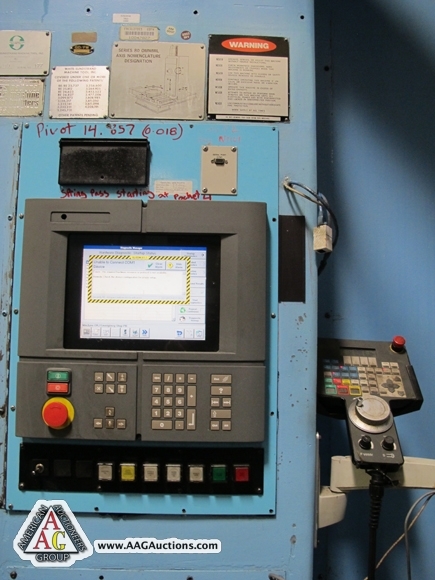 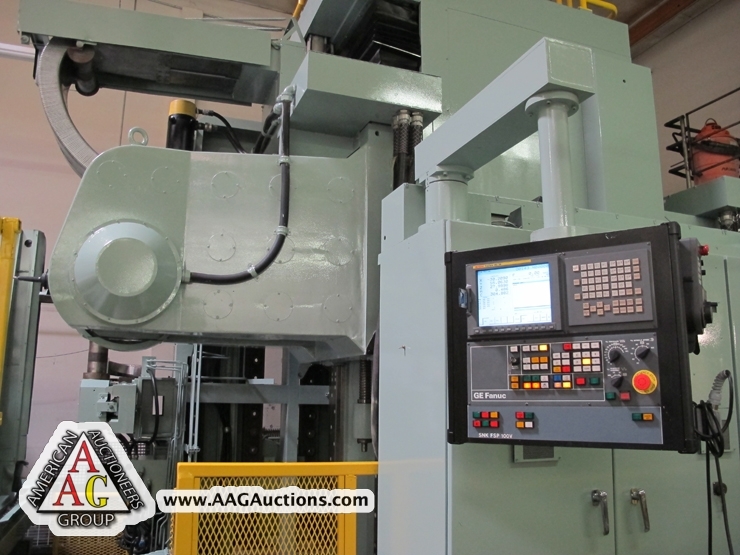 BULLARD DYN-AU-TAPE 76’’ CNC VERTICAL BORING MILL WITH FANUC OT CONTROL, 16 ATC, 4 JAW CHUCK, S/N 33538. 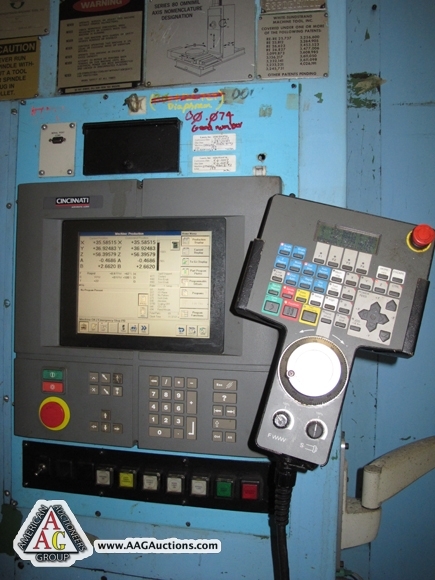 SNK MODEL FSP-100V 5 AXIS VERTICAL CNC PROFILER MACHINING CENTER WITH UPGRADED FANUC 16i-M CONTROL, 90 ATC, 50 TAPER, EXTRA SPINDLE AND SUPPORT PARTS, S/N 8645690. 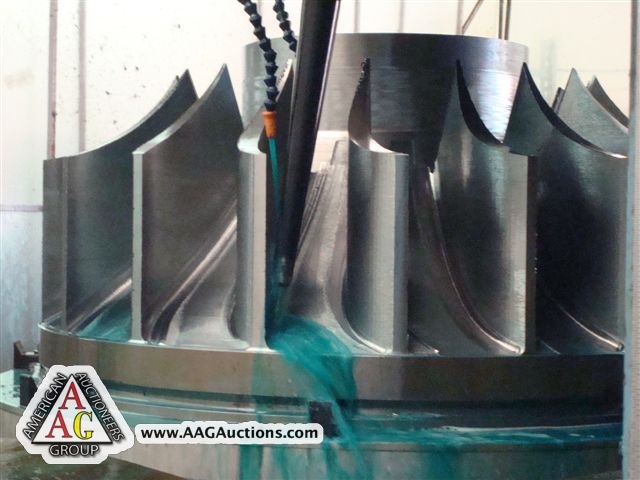 CHARMILLES ROBOFORM 4000 4-AXIS RAMTYPE SINKER EDM, 128 AMP, 17.6’’ X 12.5’’ X 16.1’’ (XYZ), 31.4’’ X 22’’ TABLE( W X L), WITH AUTO TOOL CHANGER. 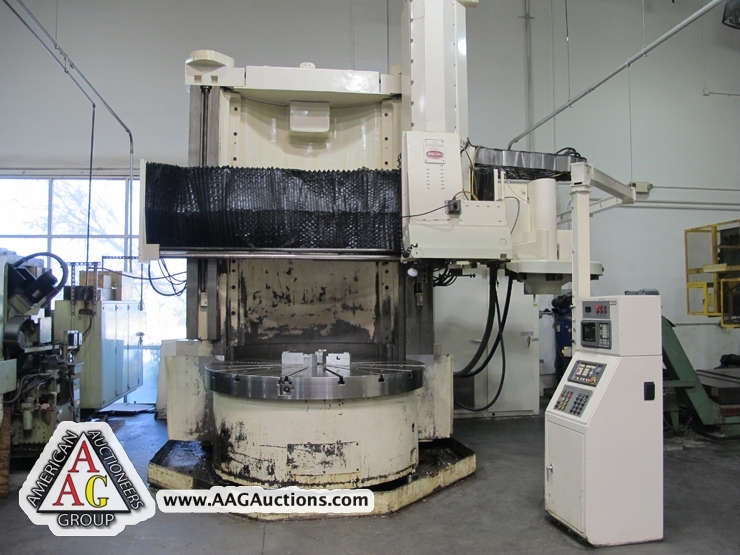 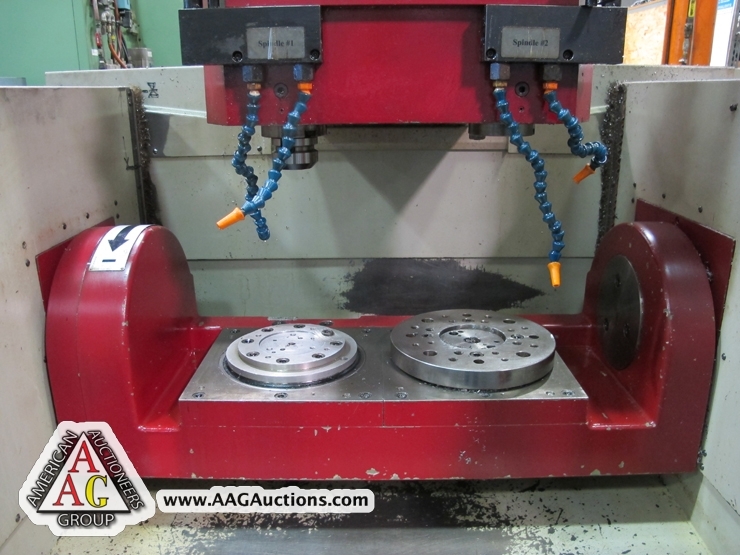 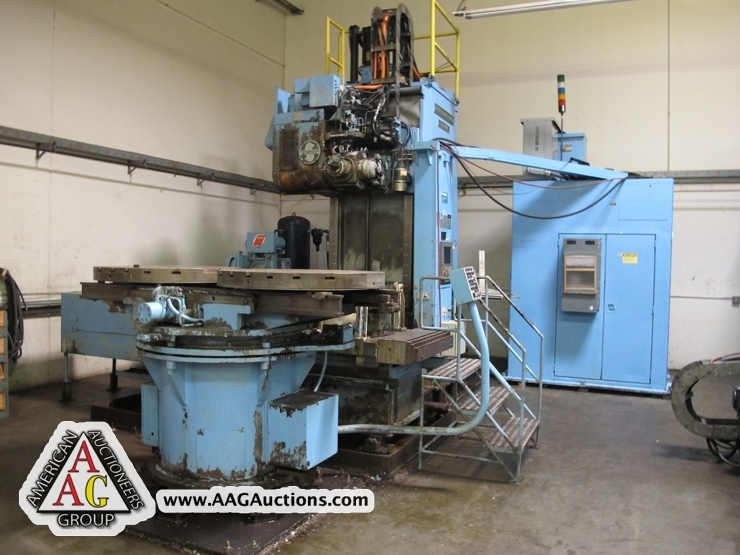 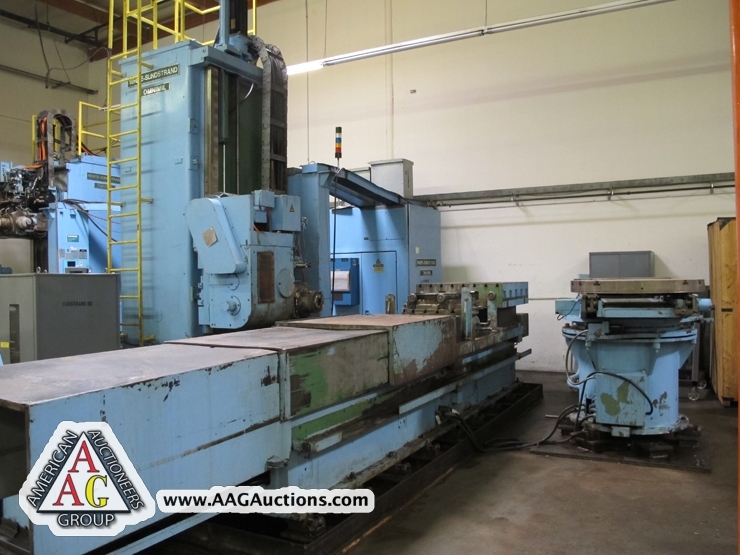 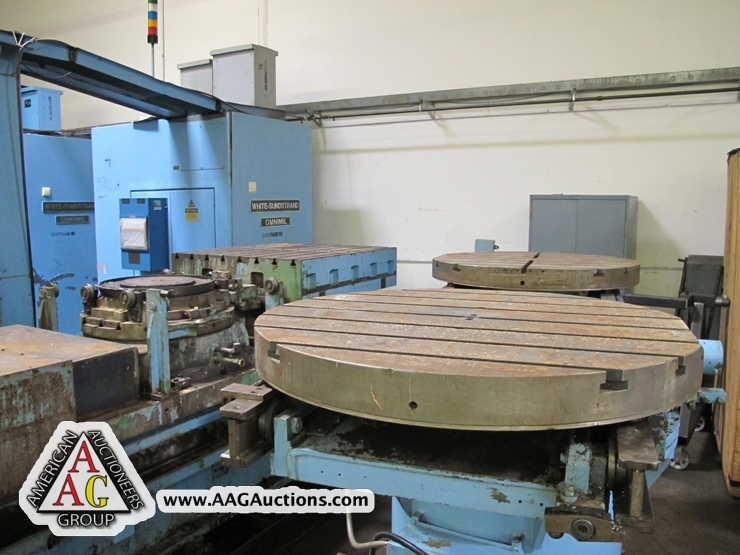 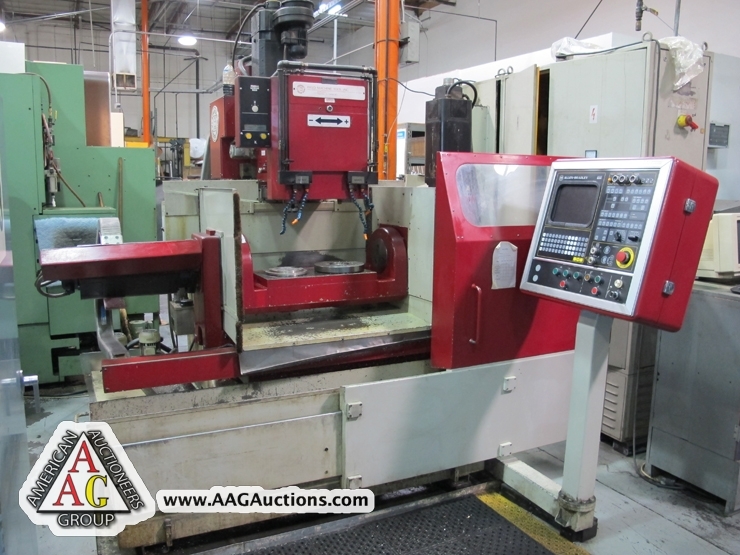 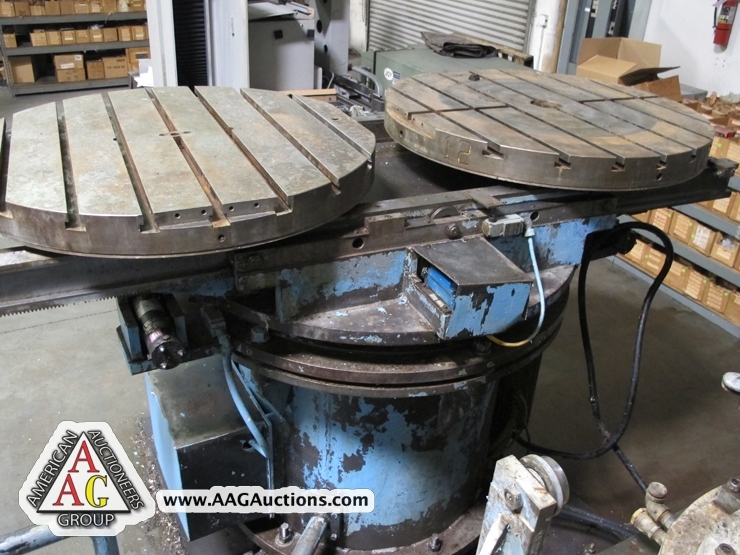 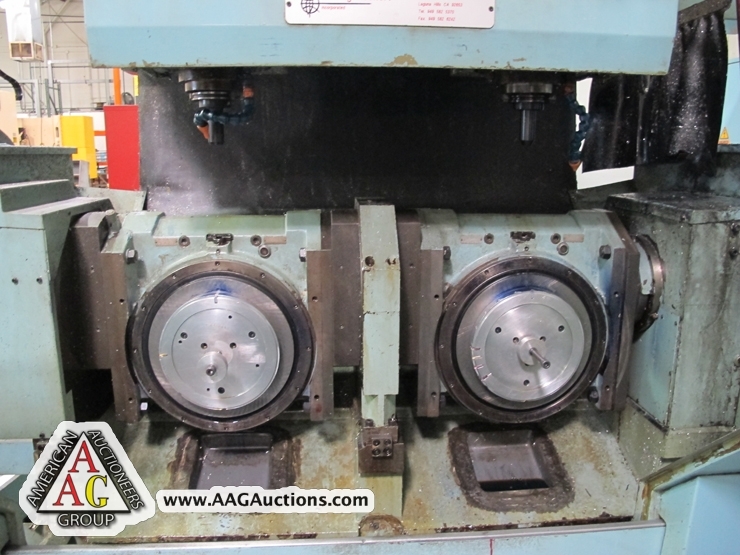 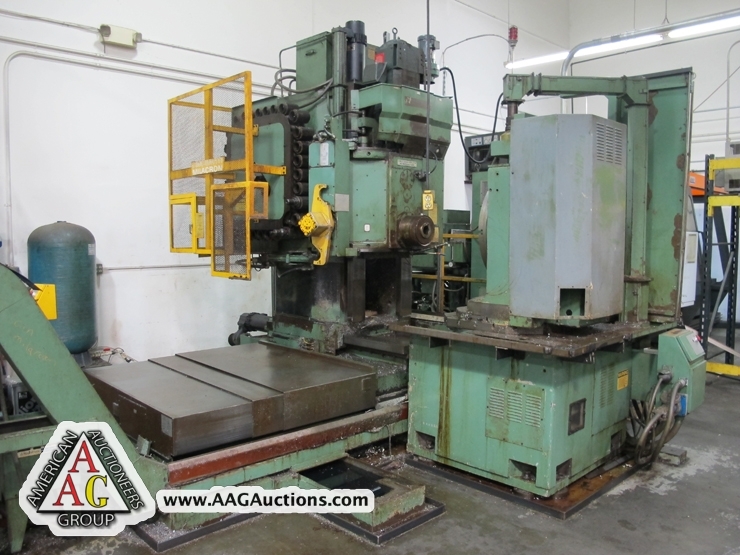 CINCINNATI MODEL 20HC 5-AXIS HORIZONTAL BORING MACHINE, WITH MDSI CONTROL, CT-50 TOOL HOLDERS, 30 ATC, CHIP CONVEYOR, S/N 3127AO181-0021. 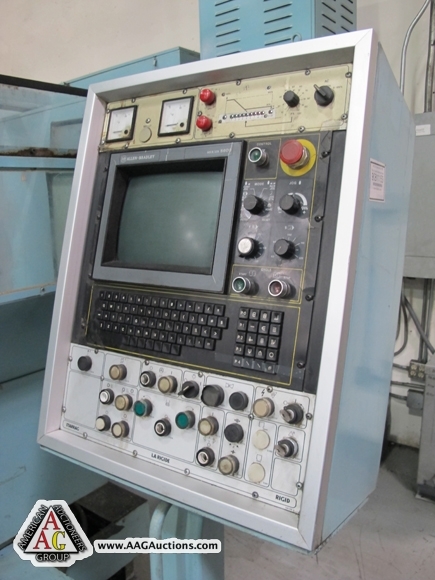 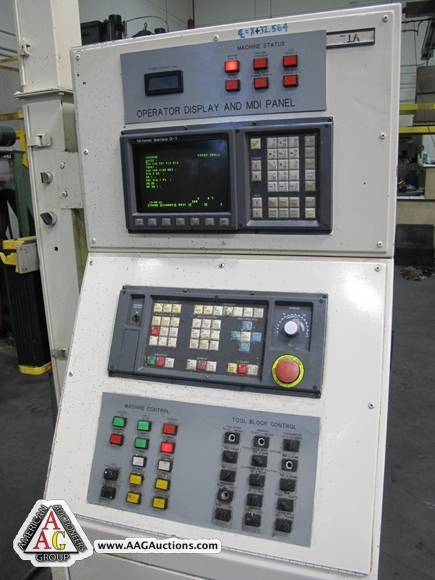 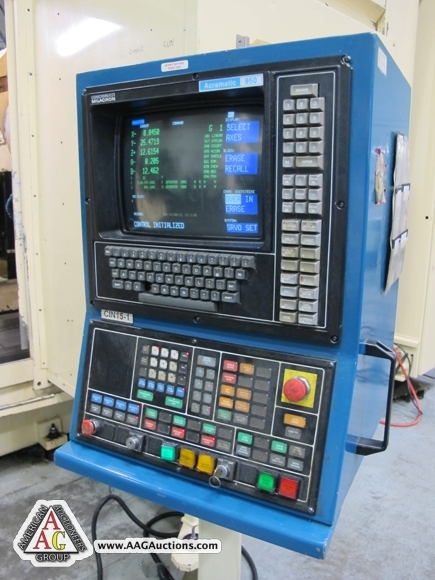 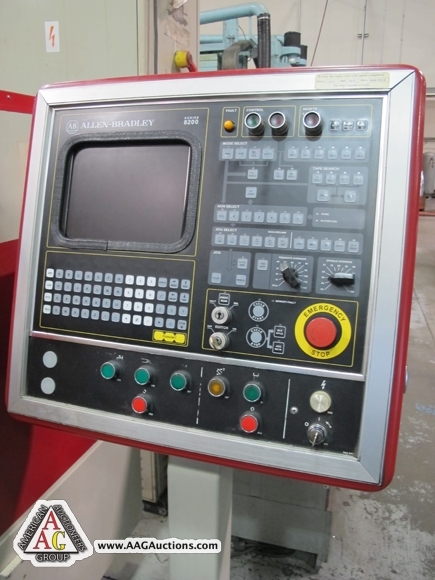 1988 RIGID NB-125 CNC 5 AXIS MACHINING CENTER WITH ALLEN BRADLEY 860 CONTROL, S/N 7232. 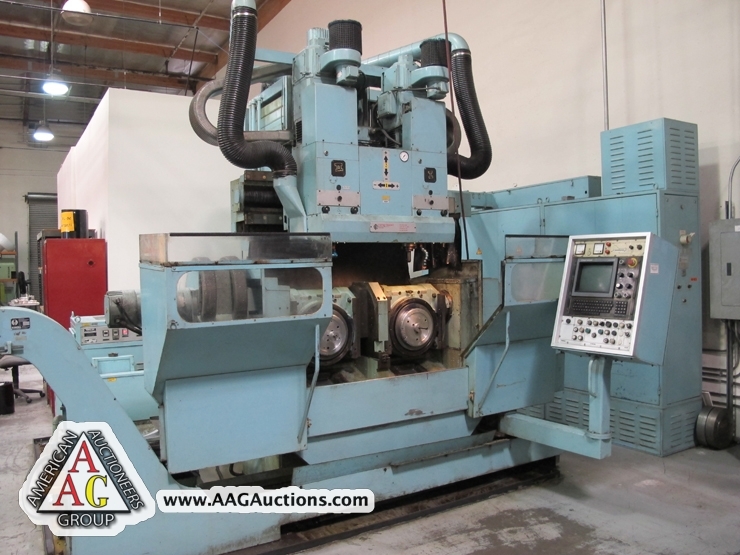 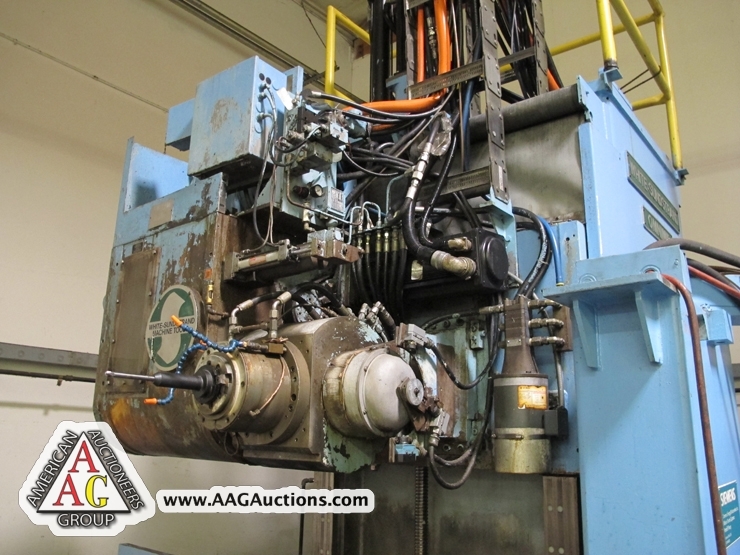 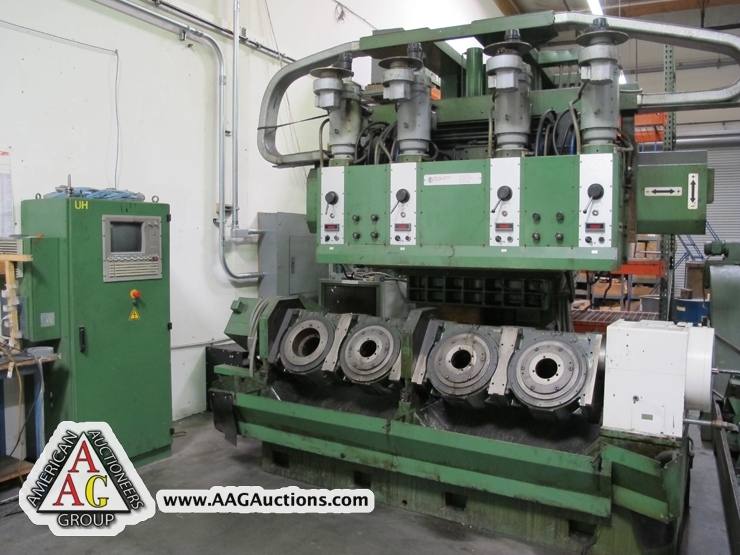 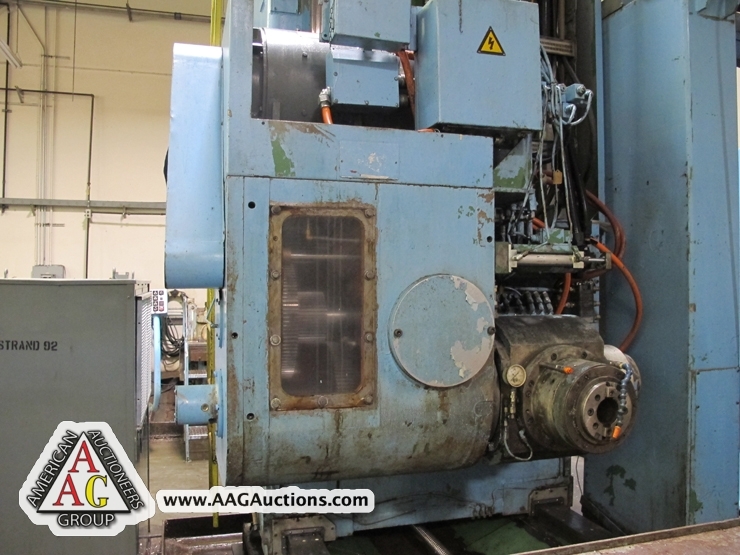 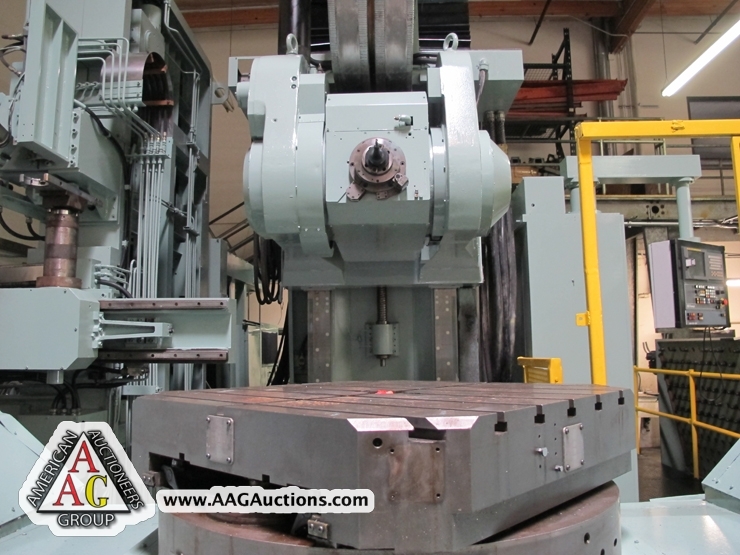 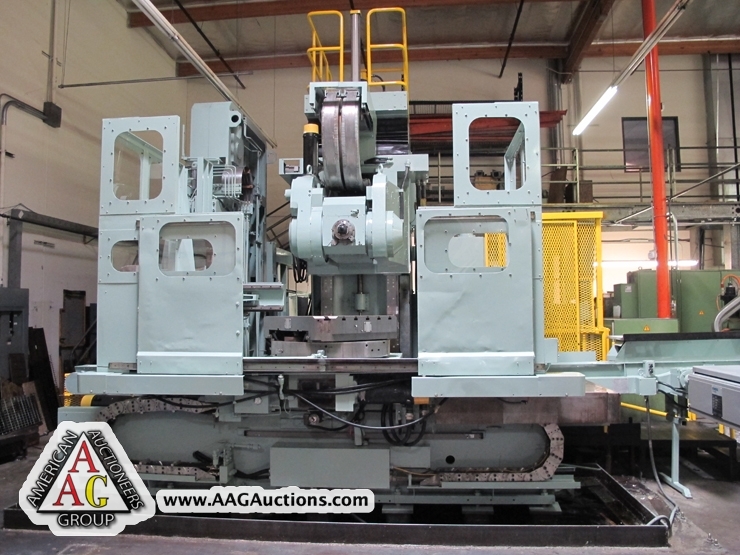 CINCINNATI MODEL 20HC 4 AXIS HORIZONTAL BORING MACHINE, WITH MDSI CONTROL, CT-50 TOOL HOLDERS, 30 ATC, CHIP CONVEYOR, S/N 3127AO181-0021. 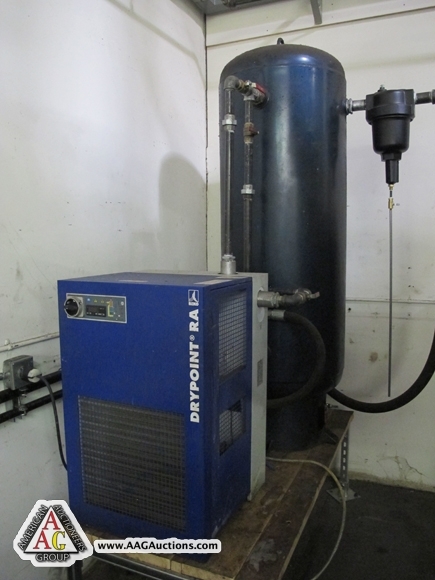 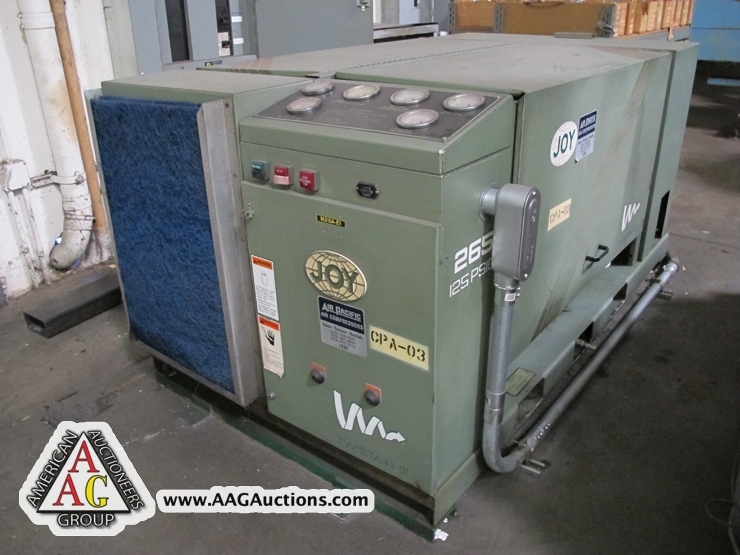 JOY MODEL 265, 60 HP ROTARY AIR COMPRESSOR WITH BEKO AIR DRYER AND TANK.